We know these places in our homes. We dread them and they drive us bonkers. You know what I’m talking about…we all have them. Clutter catchers. Do I hear you nodding? 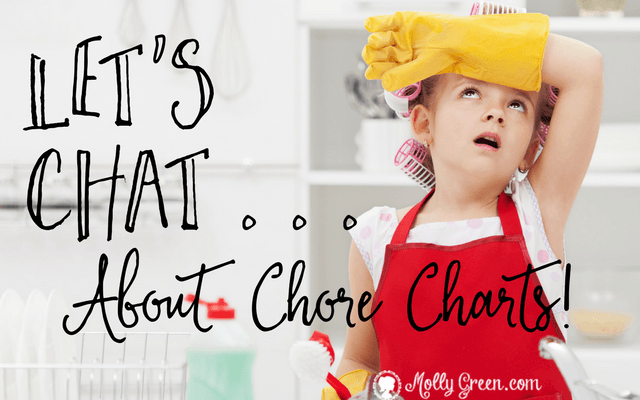 These places make it almost impossible for us to keep our house clean and organized. For my family, our clutter catchers are my desk, the table when you walk in our front door, the entryway, and a corner of the kitchen counter that I know has a magnetic force field that draws clutter. These areas are toxic to us…our moods, our desired order in our homes, and our reputations of being an “organized” person (maybe that last one is just wishful thinking on my part). Organizing these clutter catchers will save us headaches and possibly preserve our mental well-being. I’ve streamlined the list of clutter catchers to four main areas where you might have trouble too. Follow along with my declutter your home checklist below. Hooks for coats. If you have a closet, that’s perfect! If you don’t, create an area where you and your family can immediately hang up your coats and bags without walking too far. Stores like Target have options for shelves with hooks. Or you can create your own with hooks you can find all over, from Lowes to World Market. Make sure these are positioned low enough so even the smallest family members can easily hang their own things up. Cubbies or lockers. This won’t work for everyone’s homes, but if it does for yours, utilize it! If you have a handy hubby, find some plans online to build some. They are not that difficult and can provide just what you need to organize your things. Make sure everyone has their own cubby with spaces for shoes, coats, and bags. This is where they will gather their things to be picked up and taken with them the next day. Shoe organizers. By shoe organizers, I do not mean baskets. While it may seem like an easy solution, a basket is not a very handy option for keeping shoes neat. Digging in a basket for your other shoe will give you heart palpitations in no time. You need either a shelf, a hanging organizer if you have a closet door to use, or a shoe cubby organizer. There are many options for shoe organization out there, but these are the types I have found to provide the most organization with a large amount of shoes. With four kids, having an organizer that holds eight pairs of shoes does not do a lot of good for us. The other thing to consider is keeping some of your family’s less-worn shoes in their own closets. Just keep the shoes here that your family wears every day. Key keepers. How many times have you had to search the house because you couldn’t find your keys? Search no more. Hang a key hook right by your door and keep them there! If you don’t have a space to hang a key hook, have a small dish on a nearby table that your keys go into immediately after entering the house. Consider your garage. I know it sounds odd, but maybe if you don’t have a mudroom your garage could provide that magical space for you. Do you have an attached garage? Do you have space on either side of the door going into your house? If you answered yes to either of these, you have the perfect spot for a mudroom. Hang hooks up, add a bench beneath them, and slide a short shelf for shoes under the bench. Or if you have the time, money, and handy hubby, build the lockers we talked about. You will have an instant dropping zone that can be kept orderly. Keep your bedroom sanctuary-like: hang pretty things on the walls, burn sweet candles, and lay out the bed linens you love. The prettier it is, the less likely you will be to leave stuff sitting around. Put clean clothes away ASAP. As soon as that laundry is done, put it away. If you can’t put it away that minute, set the clean, folded clothes on your bed so you have to put it away before you get into bed. Watch your bedside tables. Mine tends to attract piles of books, notebooks, and coffee cups. Keep that clutter to a minimum. Only have the books that you are actually reading there and put the rest on the shelf. Keep garbage and dirty dishes out of there as well. First things first, everything needs a place in the kitchen. If your drawers are too full and overflowing, that’s your green light for getting rid of some things. If your kitchen is really tiny and you don’t have space for all the things you need, use baskets to store the less-used items in a closet or storage area elsewhere. The kitchen is an area that is used and used hard. It needs to function and function well. If everything is in its place, then your counters should be cleared. But there’s always that one corner that seems to attract clutter. Shopping lists, coupons, lost buttons, Box Tops to save are all in the mix. You know that area. Hang up a notepad for your shopping list. Keep it hanging, even if it’s on the inside of a cupboard door, to avoid cabinet clutter. Throw away papers immediately. Don’t let them linger. If you have a coupon or some other paper item to save for later, put it where it goes: your purse, a binder, a file . . . somewhere! Keep it clear. The more junk that’s sitting on your counter, the more junk it will attract. Having the counters clear will encourage you to keep it that way. You need a place for desk supplies like tape and staples. If you have a desk with drawers, that’s perfect! Things like pens and office supplies should be out of site in drawers. The less you have on your desk, the better. If you don’t have drawers on your desk, get a sleek desk organizer that will hold it all. If there’s not space for it, put it somewhere other than your desktop. Papers need a home. Create a filing system for papers you need to keep. It could be something as simple as: Life Insurance, Car Info, House, and Health. Have a spot for papers that need attention. This is for things like bills that need to be paid, correspondences that need to be replied to, and forms that need to be filled out. Keep these in a file on top of your desk and keep it nearly empty. Don’t let it get full. Have a basket for cords. If you are like me, you have an overabundance of charger cords. Use some washi tape to create a simple label for these and wrap them up. Keep them in a basket in your desk area. These four areas are common clutter catchers, but I’m sure you have others in your home as well. Using a declutter your home checklist is the first step in regaining control and organizing your home. Use these tips to spark ideas for the areas that are causing chaos in your home and read my article about organizing spaces for many day-to-day activities. The main thing is to come up with a system to catch the clutter and keep these spaces clear. When you’ve worked hard to create solutions for clutter, you will be highly motivated to keep it from piling up again. Carry on, brave clutter crushers!